Skylark Blog: What happens to my case if I move out of state? What happens to your case when you move out of state, depends on the type of case, and what stage your case is currently in. If your Divorce case has not been filed yet and you or your spouse move to another state, that state may gain jurisdiction over your case after a certain period of residency. For persons moving into Massachusetts from other states, Massachusetts gains jurisdiction over your case after 1 year of residency (or in other unique circumstances) and you can then file for Divorce in Massachusetts. If you want to file in another state you will have to meet their residency requirement before you can file there. In addition, another state may not be able to take full control over your entire case if you have left children or property behind in Massachusetts. You should consult with an attorney in both states if you are in this situation to make sure you choose the appropriate forum for your case. If your Divorce case has already been filed in Massachusetts and you or your spouse move to another state, then Massachusetts still maintains jurisdiction over you and your case. That means that Massachusetts can still make decisions about your property, children, and support issues, even if you don't live here anymore. Although, there are unique issues that relate to relocating children out of state, for the most part you will still need to participate in the Massachusetts divorce case. If you hire an attorney you may not have to attend all hearings, because they can attend for you and explain to the Court the unique circumstances of your case and your current residence out-of-state. 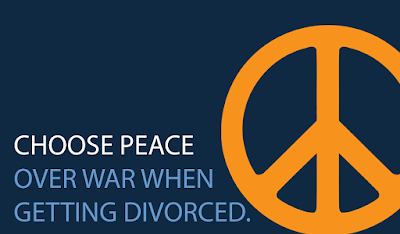 If you have settled a Massachusetts divorce case and both parties agree that there has been an irretrievable breakdown of the marriage and agree on all other issues related to their marriage, as described in a Separation Agreement, then you can file a Joint Petition for Divorce under the provisions of Section 1A. In most cases, both you and your spouse must attend the uncontested divorce hearing and testify under oath that your marriage has suffered an irretrievable breakdown and that you signed the Separation Agreement freely and voluntarily. It is possible for only one party to appear at the hearing if there are special circumstances that prevent the other party from attending. To be excused from the uncontesting hearing you must file a Motion and Affidavit stating the reasons why the party cannot attend. The Affidavit should also include the testimony necessary for the uncontested hearing. You should consult an attorney regarding the drafting of the necessary language. If you have a Divorce or Paternity Judgment in Massachusetts but have since moved out of state, Massachusetts will still retainer jurisdiction over certain parts of your case. For example, if your children still live in Massachusetts then any Modification or Contempt actions relating to the custody, visitation or support of the children will still take place in a Massachusetts Court. If you have moved out of state with the children you should consult with an attorney to figure out which state now has jurisdiction over these issues. At Kelsey & Trask, P.C. we have handled many cases for out-of-state clients and can conduct a Free 1-Hour Consultation via telephone or Skype if you are interested in learning more about our services and how we would help you with your case.